← We WERE… Penn State! Three birthday cakes for Roberto Hernandez. You might know him better as Indians’ pitcher Fausto Carmona. In January, he was arrested in the Dominican Republic for using a false identity. 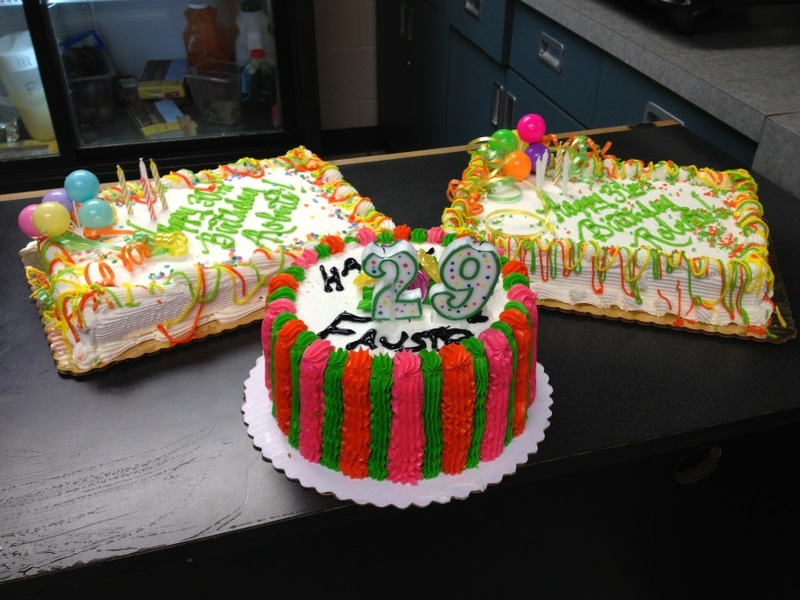 Turns out he’d been using a false name and he’s three years older than he said he was… so of course the Indians got him three birthday cakes to commemorate his return. Love this move. Not all the time, but sometimes… you gotta be able to laugh at mistakes you’ve made… hope Fausto Roberto got a kick out of this. I sure did. This entry was posted in Baseball and tagged Fausto Carmona, Fausto Carmona cakes, indians, Roberto Hernande, Roberto Hernandez cakes. Bookmark the permalink.